Signs of Grace: You Are Loved prepares children to receive the Sacrament of Holy Communion for the first time by revealing the intimate love that God has for us. 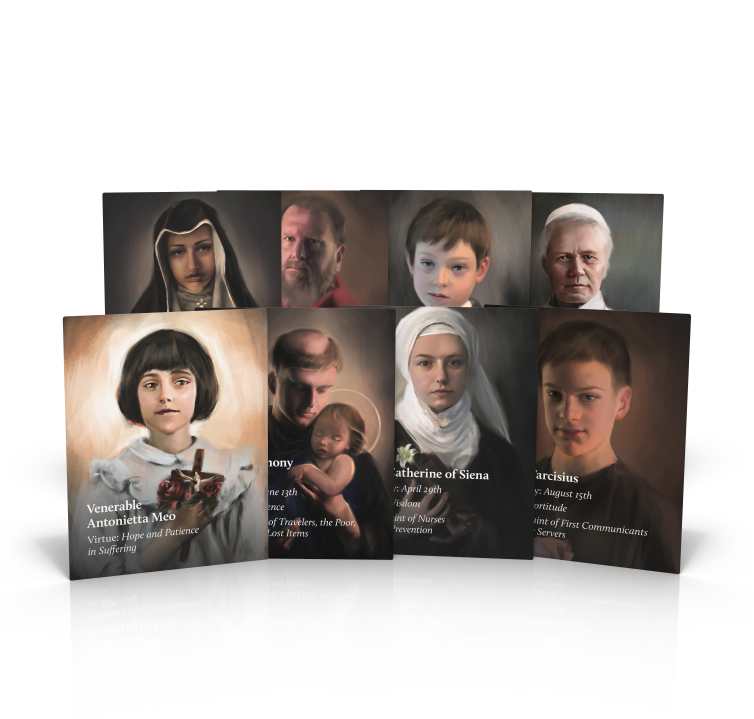 Parent sessions using award-winning Augustine Institute Studio’s Presence: The Mystery of the Eucharist help meet the crucial need for ongoing formation and catechesis for the entire family. The kit includes the You Are Loved DVD set, You Are Loved Student Guide, You Are Loved Activity Book, You Are Loved Teacher Guide, prayer cards, confession cards, completion certificates, the Presence DVD set, and the Presence Leader Guide. Although the Eucharist appears to be simple bread and wine, it is actually the “source and summit” of the Christian life. Presence: The Mystery of the Eucharist explores the truth and beauty of Christ’s Real Presence in the Eucharist, from its origins in Sacred Scripture, to its profound role in the life of the Church and its members. It is the crescendo of the entire story of salvation. 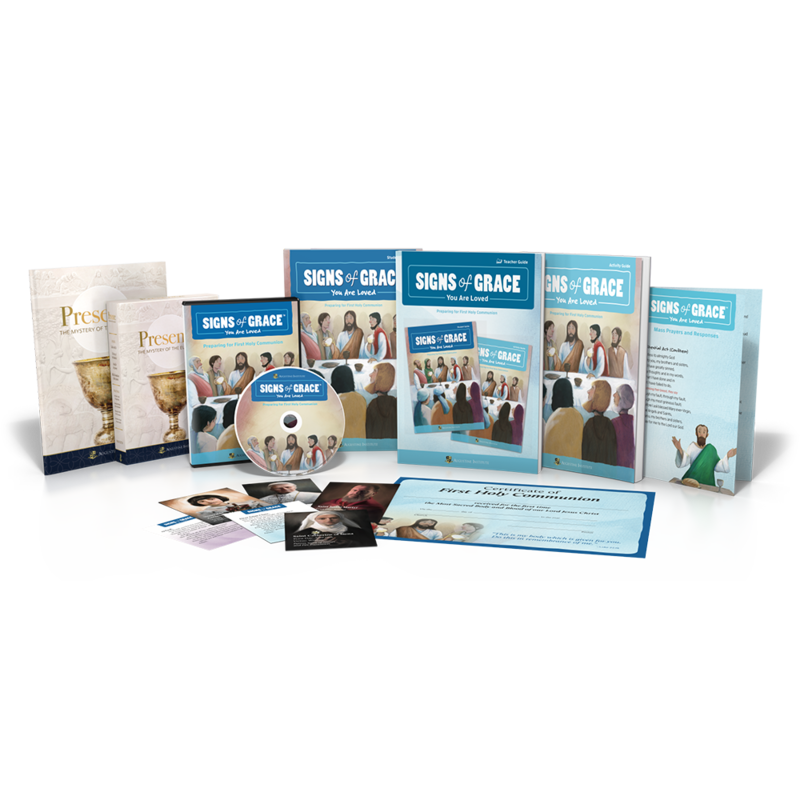 This Signs of Grace: You Are Loved Starter Kit includes all that a parish needs to use Signs of Grace in English and Spanish. The kit includes the You Are Loved DVD set (bilingual), You Are Loved Student Guide (bilingual), You Are Loved Activity Book (bilingual), You Are Loved Teacher Guide (bilingual), saint prayer cards (English and Spanish), Mass cards (English and Spanish), completion certificates (English and Spanish), the Presence DVD set, and the Presence leader guide and participant guide.